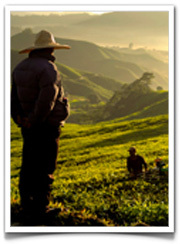 Okuma Nutritionals brands our premium grade of Oolong tea. This is because our Oolong Tea is a premium grade product compared to regular Oolong tea. We only pick the best first growth tea and follow our proprietary oxidation and fermentation process to provide you with the best premium grade of Oolong tea. Want to learn about tea history? Here you can get that Oolong history lesson, understand the process of oxidation and fermentation, and learn the best tea brewing tips for the perfect cup of tea. Along with enjoying the rich fragrance and flavor of Oolong Tea, find out about clinical and medical studies conducted to discover how tea's antioxidants can provide many health benefits. How did Okuma Nutritionals' brand become a premium grade of Oolong tea? Learn more about Okuma's Oolong Tea. Start shopping for Okuma's Oolong Tea today, and see how easy it is to achieve your healthy body. Try it and love it, or your money back. If you have any questions about Okuma's Oolong products, visit our FAQ's or feel free to contact us for more information. Our friendly and knowledgeable customer service representatives are happy to assist you.